SAR Class 25 "Condenser" 4-8-4 No. 3466 is approaching the station area at Houtkraal and is signalled to pass through on the main line. 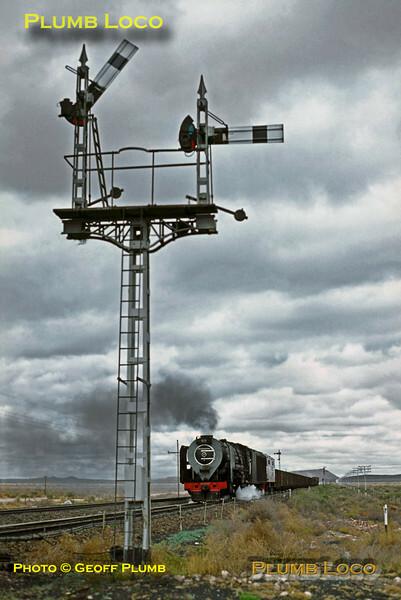 It is working a northbound freight along the line from De Aar to Kimberley, with a dead electric loco immediately behind the tender. Sunday 3rd September 1972. Slide No. 9885. Terrific shot; love the perspective!